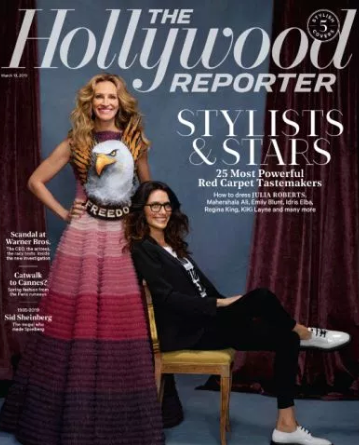 -I always adore the stylist issue of The Hollywood Reporter. Julia Roberts, Emily Blunt, Regina King, Idris Elba and more joined their stylists to discuss their work. 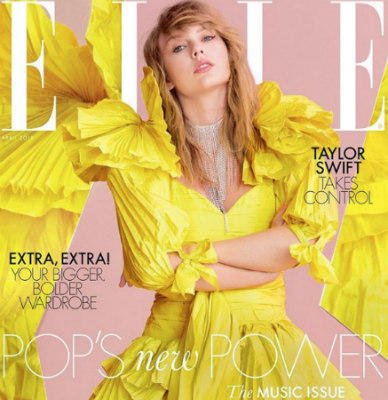 -The Global Talent issue of Vogue features Scarlett Johansson, Doona Bae, Deepika Padukone, Lea Seydoux, Elizabeth Debicki and more on the covers. –Chance the Rapper is having a big week. Days after getting married, he announced he and his new wife are expecting another baby. -It was Shazam day in Toronto (where the film was shot). The cast met fans at Yonge-Dundas Square before tonight’s screening. -Meanwhile, the new trailer includes some Aquaman shade. -Speaking of superhero trailers, the new Avengers: Endgame trailer dropped this morning and when Captain Marvel appeared I made a noise I’ve never made before. It’s that good. -Also, Marvel fixed the new Endgame poster after fans complained that Danai Gurira‘s name was left off. –Ben Affleck appeared on Ellen and finally admitted that his full back tattoo is not a myth. -Netflix cancelled One Day at a Time, which is bad enough considering how much money they’re throwing at everything else. But the fact that they tried to blame viewership numbers (which they didn’t release) and then sent a tweet that seemed to plead for sympathy pissed a lot of people off. It’s been a while since I’ve seen so many TV critics this riled up. -Hallmark has fired Lori Loughlin from all future projects following her involvement in the college scam scandal. She starred on series When Calls the Heart and in the Garage Sale Mystery series of TV movies. -Well, this is depressing. Gwyneth Paltrow has a larger influence on what Canadians eat than our own food guide. -SNL’s Aidy Bryant ships costar Pete Davidson with Kate Beckinsale. –Taylor Schilling has to deal with her juggalo-loving neice and her nosy neighbor Kate McKinnon in the Family trailer.